Labour has accused transport secretary Chris Grayling of trying to mislead Parliament over a '£2bn bailout' of the struggling East Coast rail franchise. 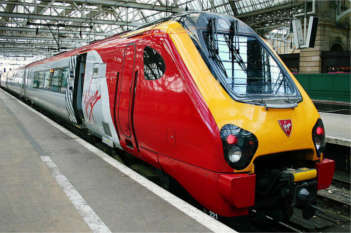 It emerged last week that Government plans to set up an East Coast Partnership to manage both trains and track on the route will mean ending the struggling Virgin Trains East Coast (VTEC) franchise three years early. On Thursday (30 November) Labour’s shadow transport secretary, Andy McDonald, wrote to Mr Grayling seeking clarification as to whether premium payments due from 2020 to 2023 will be made. He claimed that without such clarification Mr Grayling’s statement to MPs that VTEC would meet its contractual obligations ‘in full’ was misleading. Mr McDonald’s office told Transport Network on Wednesday morning that he had not received a reply. Rail minister Paul Maynard also failed to directly answer a written parliamentary question from Mr McDonald on the same issue. Mr Maynard replied: ‘We have set out our plans to end the operational divide between track and train, and from 2020 we intend to establish the East Coast Partnership, one of the first of a new generation of integrated regional rail operations. However, in his letter, Mr McDonald said that this commitment in relation to VTEC amounted to £232m, compared to £2.019bn in premium payments that would have been due. Transport Network approached the DfT for a response to Mr McDonald’s accusation that Mr Grayling had attempted to mislead Parliament but a spokesman said the department had nothing to add.